Take out and catering available. 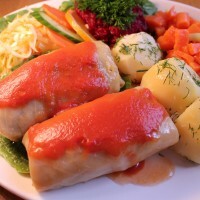 Stuffed with rice and pork, topped with tomato sauce and served with potatoes and a bouquet of salads. 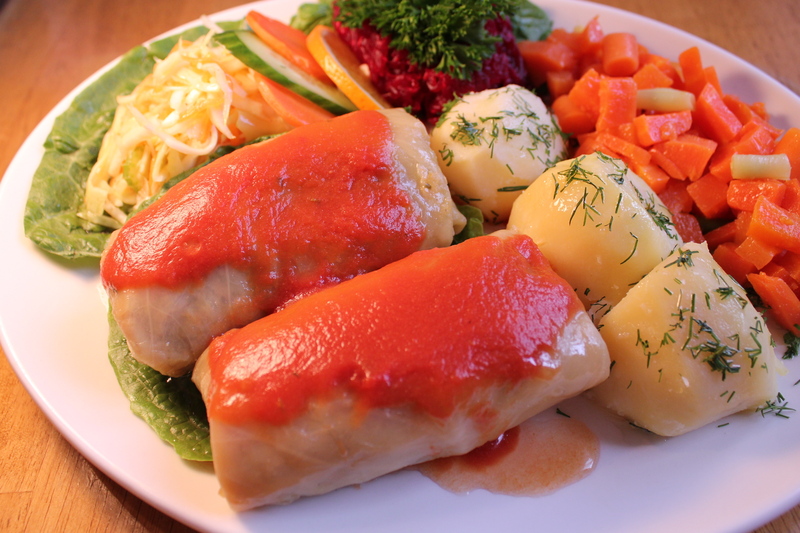 stuffed with rice and mushroom, topped with mushroom sauce and served with potatoes and a bouquet of salads.